Since the crisis erupted in May this year, nearly Rs 30,000 crore of its market capitalisation had been wiped out. The shutdown of Vedanta’s copper smelter in Tamil Nadu earlier this fiscal had dealt a blow to its valuations. The National Green Tribunal’s (NGT) ruling has raised hopes of a revival. On December 17, Vedanta’s shares rose by 6.5 percent in early trades, as investors reacted to news that the NGT has dismissed the TN government’s closure order. However, news reports indicate the TN government plans to challenge the NGT order in the Supreme Court, which may delay the actual restart of operations. Still, the NGT decision provides a ray of hope that the copper business will begin contributing to performance again. The market had reacted adversely to news of the closure of its copper plant, which accounts for about 5 percent of the consolidated earnings before interest, tax, depreciation and amortisation (EBITDA). Investors also had apprehensions about the fate of the investments made in this plant. On the basis of EV/ EBITDA (enterprise value to operating profit) of six times, the plant is valued at Rs 9,000 crore including fresh capex of about Rs 1,300 crore. This was about 8 percent of its enterprise value of about Rs 110,000 crore and 12 percent of its Rs 77,000 crore market capitalisation. Nevertheless, the NGT ruling raises hope that this investment will not go waste. Second, restarting the plant could add about 8 percent or Rs 16.5 per share to its overall valuations. Thus, the share price might go up to that extent reflecting the value of the plant. 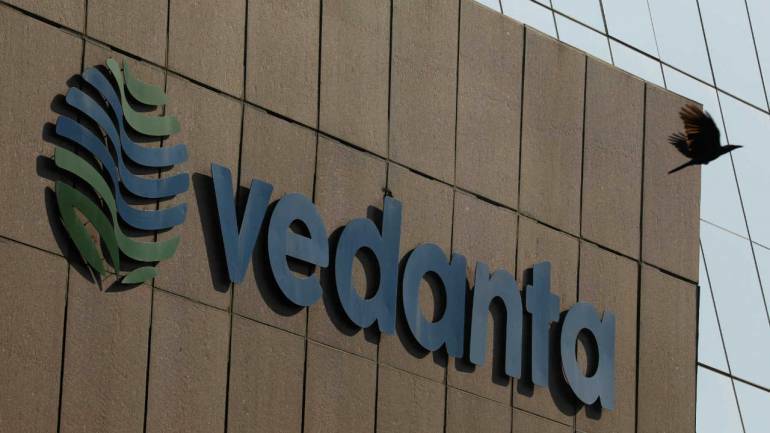 The overhang caused by the shuttered copper plant has resulted in Vedanta remaining one of the cheapest stock in the metals space, currently trading at five times its estimated EV/EBITDA of FY20. Valuations should also be considered in the light of expected growth in earnings as a result of higher volumes in the zinc business, oil & gas business along with cost savings in aluminium. That apart, the company is also sitting on cash and cash equivalents of close to Rs 33,000 crore, which is about 40 percent of its market capitalisation. It intends to deploy funds for suitable stressed assets and also fund expansion plans in its existing business segments.